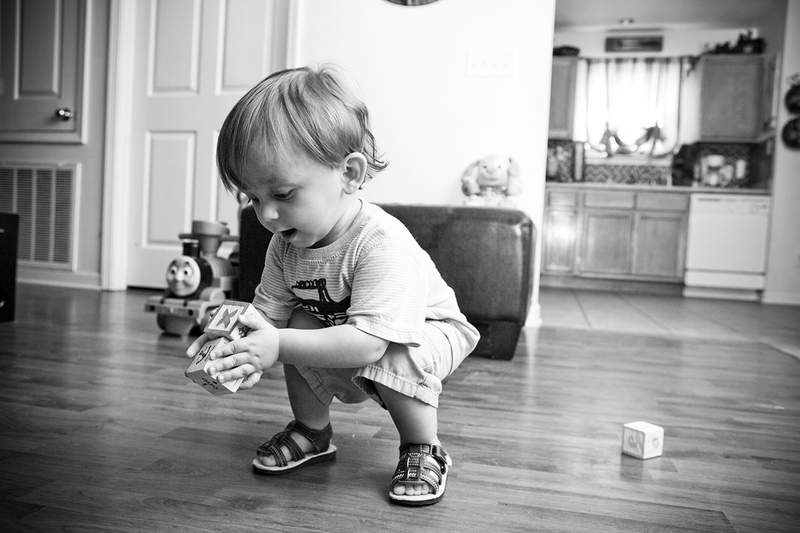 Anthony Talamo plays with blocks on the floor of his family's Habitat home. Jessica Talamo and her husband, Anthony, moved their family in to their Habitat for Humanity house in Slidell, Louisiana, in January 2009. Construction began during the 2008 Jimmy & Rosalynn Carter Work Project, which included builds throughout the Gulf Coast region. Their other children are Nick, 13; Margo, 10; and Sonni-Anne, 6.